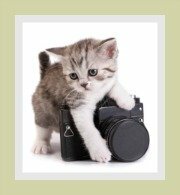 These Exotic Cat photos feature pictures of gorgeous Exotic Shorthair cats and kittens in an array of colors - black, white, bi-color and more. 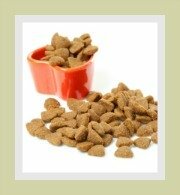 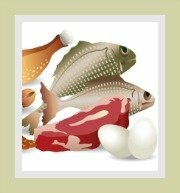 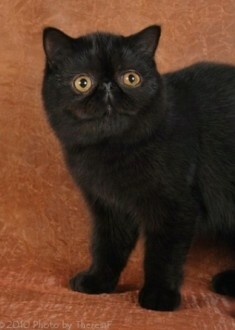 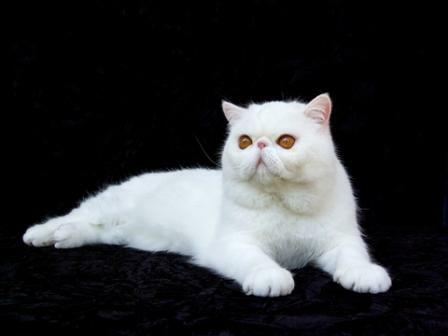 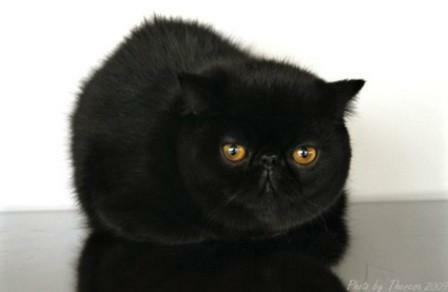 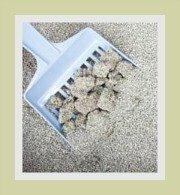 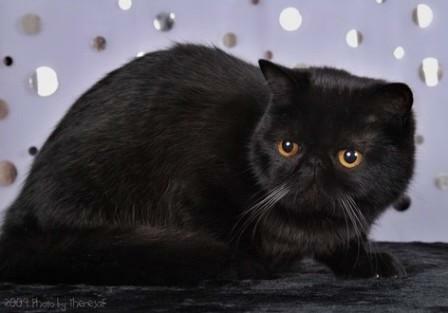 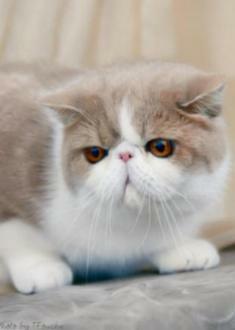 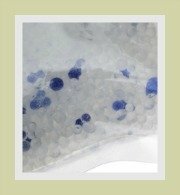 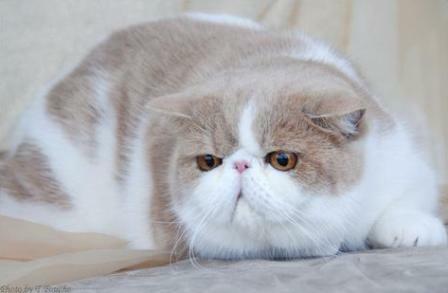 If you are in the process of selecting your new companion, take a look at the lazy man's Persian - i.e. 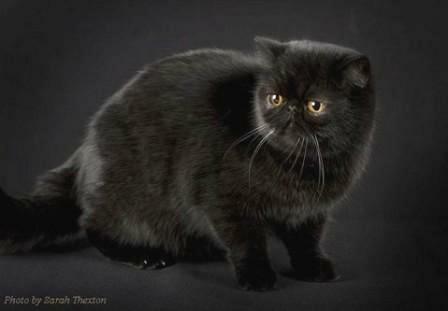 a shorthaired version of the Persian cat. 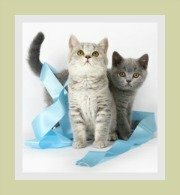 These cats rank amongst the Top 10 most popular cat breeds and this is no surprise - they have the cute factor and are one of the most placid, easy going, sweet-natured cats. 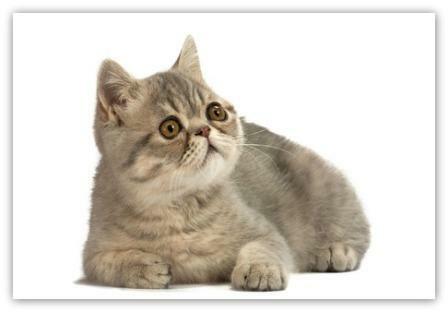 The in depth profile on the Exotic cat provides facts about the breeds features and characteristics, grooming, nutrition and health concerns. 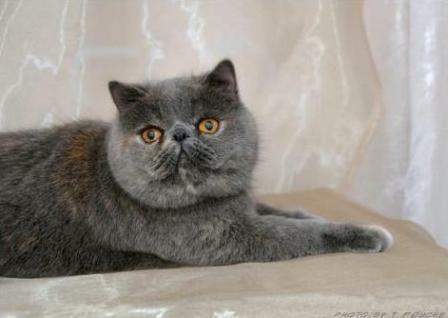 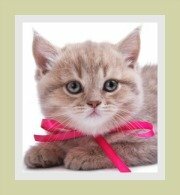 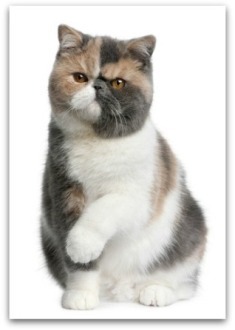 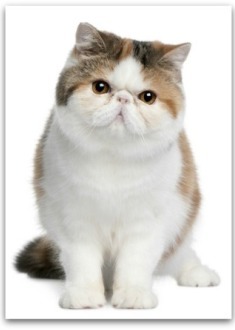 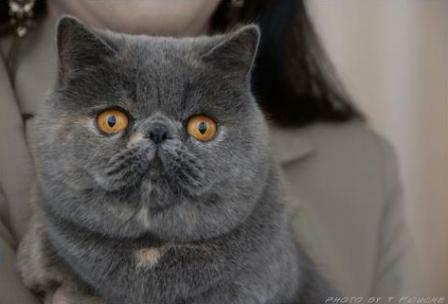 If you feel that this is the right cat breed for you, then do make contact with one of the listed Exotic Shorthair cat breeders to adopt a cat or kitten.